Features aquamarine gemstones, the color combination for this latest collection is mainly shades of light blue. 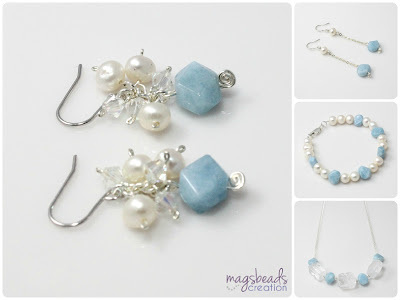 Romantic and beautiful jewelry, perfect as well for wedding jewelry with lovely shades of aquamarine blue. For your information, the gemstone aquamarine is the birthstone for March.